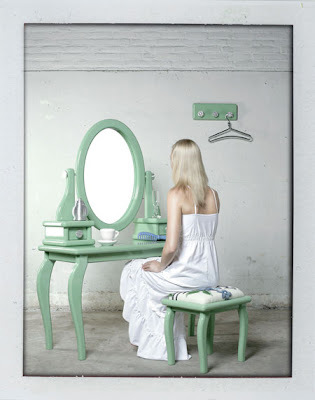 Tineke Beunders designed this furniture as part of her graduate show at the Design Academy Eindhoven. It is based on the rounded style and proportions of dolls' house furniture. Check here for more photos and an interview with the designer. great design- and I love the photo too. I love the color of that set! !